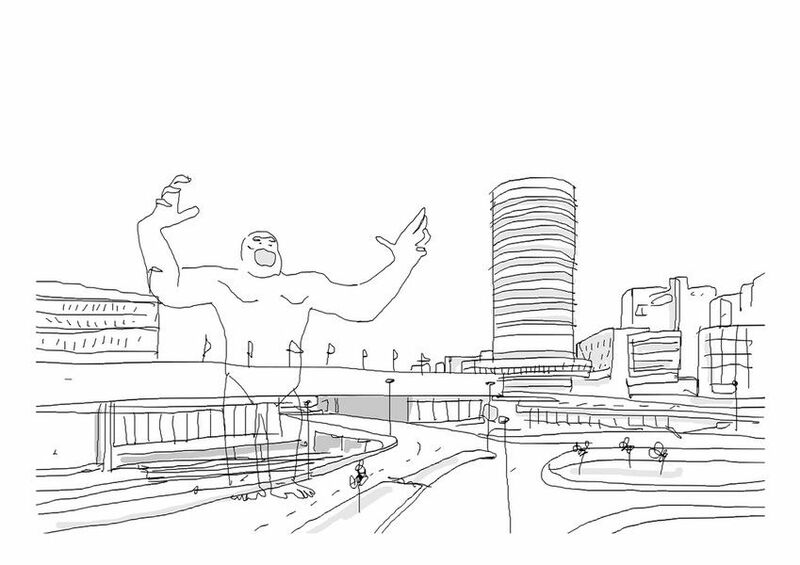 In his first solo exhibition, as part of Birmingham's Flatpack Festival, the BAFTA-award winning animator and illustrator attempts to create 1000 illustrations of Birmingham, the city in which he grew up. If whilst undertaking research into a city you misspell its name does that give you free reign to ride roughshod over its true history? Greg McLeod thinks so. In his first solo exhibition, as part of Birmingham's Flatpack Festival, the BAFTA-award winning animator and illustrator attempts to create 1000 illustrations of Birmingham, the city in which he grew up. But all is not quite what it seems… each image has a corresponding title, but you may want to think twice before taking the labels as gospel. Along with his illustrations adorning the walls in Centrala, a new film will play on loop in the gallery - an animated documentary charting the [un]true history of the city. The exhibition will run throughout Flatpack Festival, but a special opening with DJs Matt and McGill providing the soundtrack will take place on Friday 3 May between 18:00 - 22:00. Running concurrently with the show at Centrala, is the sister exhibition Bermingham: Remixed at the Parkside Gallery. Taking inspiration from Greg’s illustrations, the exhibition is made up of works by Viscom students at Birmingham City University. Greg’s BAFTA-nominated short Marfa will also play on loop.